Court case turns on whether EU’s executive branch improperly relaxed emissions standards. The General Court of the European Court of Justice ruled in December that only the European Parliament and Council of Ministers can change the mandatory Euro 6 emissions limits, scrapping the European Commission’s new, more lenient NOx rules for automakers. BRUSSELS – A European court has demonstrated the challenges faced by European Union automakers in following EU vehicle-emissions rules. Not only are they complex, but the EU’s complicated decision-making system also can open the rules to legal challenges. The case in point has left car companies confused over a ruling by an arm of the EU’s General Court of the European Court of Justice that the EU’s executive branch, the European Commission, exceeded its powers when easing mandatory nitrogen oxides (NOx) limits under the EU’s Euro 6 emissions standards. The court’s judges ruled on whether the Commission had the right to decide, without asking permission from the EU Council of Ministers and the European Parliament, how emissions compliance is tested through new road tailpipe measurements (below, left). These were mandated after automakers, notably Volkswagen, were caught manipulating results from the lab tests that had been relied upon in the past. In its technical rules on how to conduct these new tailpipe emissions tests, the Commission allowed manufacturers some flexibility in complying with the NOx limit of 80 g/km written into the Euro 6 standards. This tolerance was not a margin of error. The European Commission decided automakers could produce vehicles that exceeded the limit by 2.1 times for tests staged from Sept. 1, 2017. It tightened this for tests from Jan. 1, 2020, allowing 50% more NOx than allowed under Euro 6, which still would have set the limit for diesels at 120 g/km – 50% higher than the 80 g/km cap currently in effect for diesels. The maximum for gasoline engines is 60 g/km but the test rules mainly affect diesels, which emit greater amounts of NOx. While this might have been good news for automakers, environmentalists were not happy – and nor were three European capitals concerned about the quality of the air breathed by their citizens. The city governments of Brussels, Madrid and Paris filed suit in the EU General Court, arguing the Commission had effectively gutted the Euro 6 standards – and had gone far beyond its right to release technical rules on how the new tailpipe tests should work. 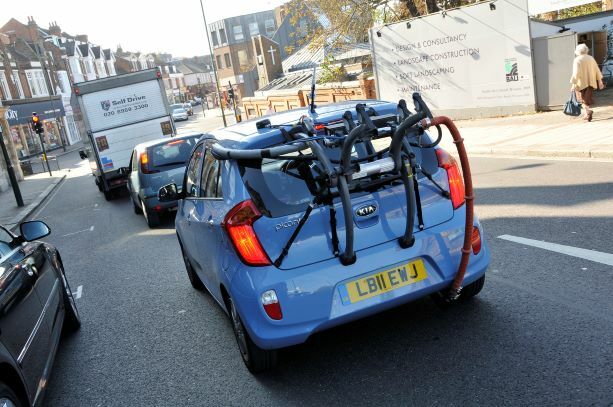 The court agreed and ruled in December that only the EU’s official lawmakers – the parliament and council – can change the mandatory Euro 6 emission limits, scrapping the European Commission’s new, more lenient NOx rules that had been scheduled to take effect in 2020. But the regulation otherwise remains effective, including the contested test-result flexibility, so tailpipe “real-driving” emissions tests must be conducted for at least the next 13 months for automakers to receive permission under type-approval laws to sell their vehicles in the EU. The General Court has given the Commission through February 2020 to rewrite the regulation, but that deadline would be delayed further if the European Commission appeals. Either way, all type approvals granted since September 2017 so far through the end of this grace period remain valid. For automakers, that leaves massive question marks over what happens a year from now (or later, if the Commission appeals). It might scrap the tolerances it allowed over the tests or put before lawmakers a proposal to adopt the 50% margin of error as EU law. The Commission is mulling its options. For the European Association of Automotive Suppliers (CLEPA), the ruling “impacts on legal certainty in the short term,” a spokesperson tells Wards. CLEPA is "analyzing the ruling in detail and seeking more clarity from the Commission on this matter." The European Automobile Manufacturers’ Association (ACEA) also is “doing a thorough legal analysis,” a spokesperson says without commenting further on the ruling. This means “in practice, car manufacturers must set their design objectives well below the legal limit to be certain of complying” – and that is unrealistic, the spokesperson says. Unsurprisingly, environmental groups take a different view. Julia Poliscanova, manager-clean vehicles and e-mobility at green advocacy group Transport & Environment, says her organization always has argued the Commission’s emissions-test fudge is illegal. Given the nub of the case – that the European Commission exceeded its powers – it is not the Commission but national governments that are to blame, she says. In this case, Poliscanova contends, major automaking countries, including France and Germany, forced the Commission to weaken the emissions-test rules to protect domestic car industries.